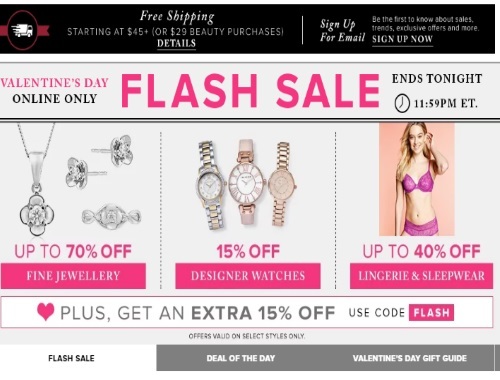 With Valentine's Day coming up Hudson's Bay is offering some great deals for gifts! Save up to 70% off fine jewellery, 15% off designer watches and up to 40% off lingerie and sleepwear! Offer is valid online only today, Sunday, February 5 2017.